Perhaps you have heard of Leah Still. She is the daughter of Devon Still, a defensive tackle for the Cincinnati Bengals. Leah was diagnosed with a stage 4 cancer growth in her abdomen at only 4 years of age. Since June, she has been undergoing chemotherapy, and is now hitting the point of health where she can watch her father play a game. I respect her father, a professional athlete, dealing with the pressure of his daughter’s illness along with a professional sports career. He was recently moved back onto the active roster, after being sidelined when the news came out. I would hope that should a life threatening illness occur in my family, that I could show my children the bravery he has shown his daughter. Why is this so important? 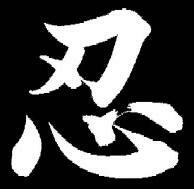 One of the root kanji of ninjitsu is “nin” which stands for “endurance.” It reminds us of the purpose of our art. Without it, we will fail in any endeavor that has real meaning. I can think of seeing the years it takes to earn a black belt, or the long term focus it takes for people to graduate college. It is so easy when we have long term goals to be assaulted by antagonistic elements that prevent their accomplishment. 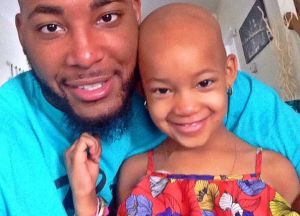 It is always inspiring to see someone like Leah Still, who at the age of 4, reminds us of the power of endurance. In a struggle for life, she reminds us what we need to do to succeed in our own lives. Best of health to her and her family as they move into the next stages of her treatment. Thanks to Cumberland’s Girl Scouts!